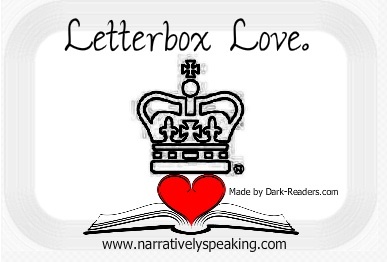 Welcome to Letterbox Love, this is a UK meme, hosted by the lovely Lynsey at Narratively Speaking and inspired by The Story Siren’s In My Mailbox. This post is a means by which to highlight the books we get in the post and beyond, and especially to bring attention to those books which may be sat on our shelves for a little while yet that we love all the same. Some amazing books this week, I can’t wait to get stuck in!! This sounds fantastic and intriguing… It sounds kinda superhero-y but different and I am looking forward to it immensely. I really hope that I love it as much as I hope to! Thanks David Fickling Books! The wonderful folks over at Harper Collins sent these copies of the newly published editions of David Levithan’s books over and they look awesome. I am really excited to read them. I read Boy Meets Boy years and years ago but cannot remember what happened so I am happy to get a chance to read again. Thanks guys! I have a majkor thing for historic fiction and this war torn story sounds like its right up my street. Thank you Corgi! This is another one that intrigued me when I first saw it. A supernatural war story I couldn’t resist the temptation to read it! Thanks Corgi for this one too! Lucy Christopher has been on my must read list for a while now and I never got round to it. Thankfully I got offered her new book, The Killing Woods, and the republished version of Stolen to review through LoveReading.com. Thanks to them and ChickenHouse for these! This book has been on my radar since it published a year ago in the US. Now its being published over here with an amazingly striking cover I knew it was time to read it. Thanks to Corgi for sending me it! I saw this one on a couple of blogs recently and it sounds incredible, and pretty crazy. It was my birthday this week and for it I went indie book shopping (I recommend Storytellers Inc in St Annes if you’re in the North West!) and this caught my eye again. I can’t wait to see if its as good and the blogs I read suggested! I love Kate Dicamillo’s work, I found The Tales of Desperauex for cheap second hand a few months back and then got Flora & Ulysses for review and they were both incredible. When I saw this front faced in Storytellers Inc I just had to buy it and I can’t wait to see if its as amazing and the authors other books, I’m certain it will be! Me and my sister swap books when we see each other and these and the ones she left with me when she came to visit for my birthday. I have been wanting to read the Dexter books for a while because I love the TV show and the others are books she read and thought of me! I am looking forward to seeing if I like them as much as she thinks I will! This was a kinda joke pressie as my sister knows I love Dinos so much! Its full of little facts about dinos and the world they lived it. Its fun! Ooh some great books this week! I’ve had The Bone Dragon sitting on my tbr for a while and have yet to read it! Keep hearing good things though – hope you enjoy it. Love the sound of Starters too – though I think I preferred the old cover! Happy reading :). Follow via bloglovin. I like the covers for some of those MG books that I see in your pile. Come visit me as well. Oh my God, Stolen is incredible – one of the best books I’ve ever read. The Kissing Club and Just in Case are also awesome!